The statutory rights of grandparents in response to a child in the State of Texas, absent existing executions, are minimal. The Texas Courts observe the rights of the parents to prohibit visitation and communication of these children from their grandparents if the parents wish. There are however limited circumstances when grandparents of a child may petition the Court to receive an order that forces the child’s parents to let the grandparents see the children on a regular basis. Texas Courts honor the rights of the parents and must presume that a fit parent makes such decisions, as to who the child may or may not see, those decisions are in the best interest of the child. D) Does not have actual or court-ordered possession of or access to the child. This Statute is limited in application because the Texas legislature gives deference to the parents’ fundamental authority to determine who their child may and may not see. An example will help clarify this Statute. 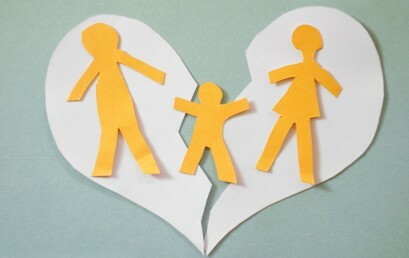 If a grandparent’s son died in car accident and the grandparent had been helping their son and daughter in-law raise the children, then the grandparents could request visitation rights. The daughter in-law would have to be alive and not have her parental rights terminated. The grandparents would have to prove to the Court by a preponderance of the evidence (more probable than not) that the denial of visitation would significantly impair the children’s’ physical health or emotional well-being. If the grandparents were helping raise the children the grandparents would request some type of visitation for the well-being of the children. These fact situations must be significant because Texas Courts and statutes make it difficult for grandparents to receive any type of visitation or possession if it is not in line with the parents’ wishes. If you are a grandparent or a mother/father of a child in which the grandparents are attempting to sue you for some type of visitation, it is important to contact a qualified attorney to be informed of your options.